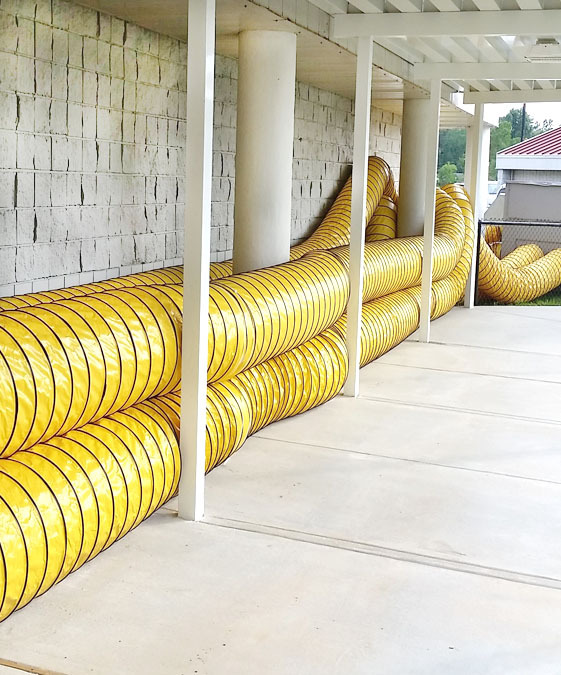 Ventilation ducting is a single-ply yellow PVC vinyl coated polyester fabric hose. It is made with reinforced spring steel wire helix and covered by a black external PVC wear-strip used for protection and abrasion. Ventilation ducting is designed for positive pressure ventilation and negative pressure applications. 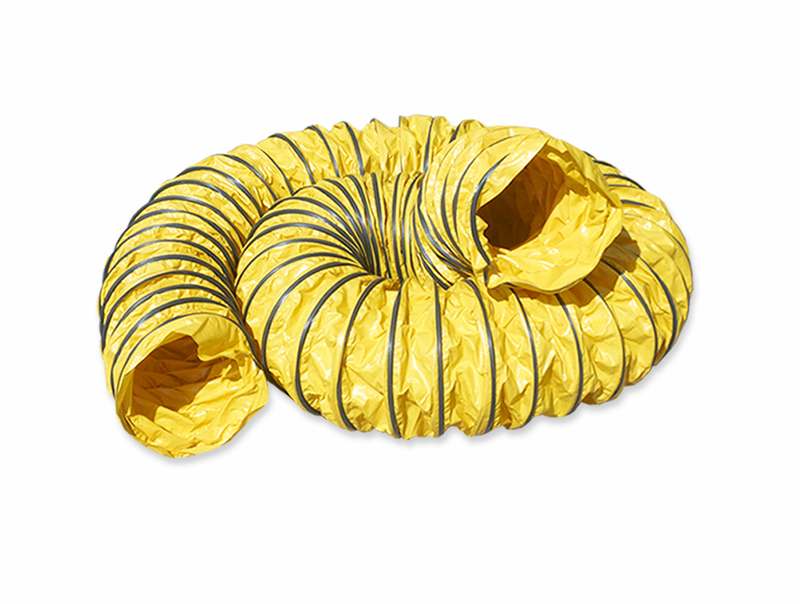 This ducting is available in the lengths of 25 ft. and diameters of 12”, 16”, 20”, 24”. 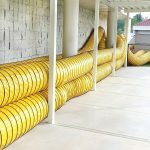 For any projects requiring fans, blowers or confined spaces, turn to flexible ducting. LAYFLAT CLEAR POLY DUCTING ALSO AVAILABLE.